Police have released CCTV images of two men they wish to speak to as part of their investigation into an assault and robbery in Dalry. The incident happened in Shoppers Spot, Dalry Road at around 7.55pm on Thursday, 2 August 2018. Officers believe the pair pictured can assist their with their enquiries and are appealing to anyone who recognise them to contact them. 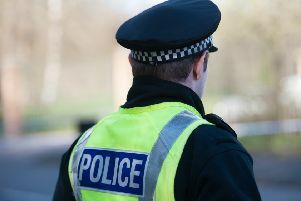 Detective Constable Jennifer Patrick from Corstorphine CID said: “Thankfully the victim wasn’t seriously injured during the robbery but was left in a state of shock after the attack.